This week on The Bugcast: Caroline presents her drawing challenges for October, Dave announces the imminent return of another podcast he’s involved in, and we play 8 fantastic tracks of Creative Commons music from FunkyJu, Neon NiteClub, Tryad, while, The Kyoto Connection, Tab, The Mind Orchestra, and The Hedgerow Folk. 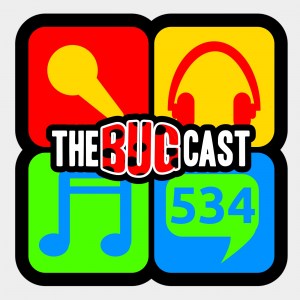 This week on The Bugcast: bittersweet memories, coffee, and our usual amazing mix of 8 amazing Creative Commons tracks from The Mind Orchestra, Axl & Arth, Deep Down Inside, The League, Tone, Jessie, Inspired and the Sleep, and 10 Code. This week on The Bugcast: we look forward to our Christmas plans, and discuss how Psy broke YouTube, plus we play 8 great tracks of Creative Commons music from Gone By Friday, I Am Not Lefthanded, Keryas, The Mind Orchestra, Quietly Concerned, The Johnny Bemolle’s, The Dada Weatherman, and Funky Stereo.